My Coffee Capsules – delivered and for a good price too from mycoffeecapsules. Thanks to Kiwi Mummy Blogs I have discovered something new for you coffee lovers with a pod machine, there is a Kiwi company who deliver pod compatible capsules and they are cheaper than the other pods. How can you not love a good Kiwi company and things being made easy for you? The company is mycoffeecapsules. 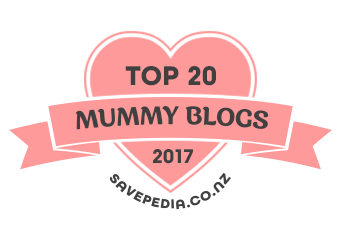 I was lucky enough to be sent two of the mixed boxes from this site via Kiwi Mummy Blogs. I was very impressed with the idea of the mixed box and being able to fathom out which flavour best suited me. I liked the touch of including the cinnamon sticks and recommending that they be used to stir the coffee. The pods arrived just two days after I agreed to review the product, that is a fast efficient service. On opening the box I found that each capsule was also wrapped in an airtight foil packaging to give an extra seal and freshness to the pod.They were also colour coded and marked for strength on the wrapper and this made knowing what you were getting nice and easy. I like strong coffee and was happiest drinking the 5+ capsules. My favourite flavour over all surprised me, it was the decaffeinated pod and this will now become a home from work treat. You can’t beat a cup of coffee in silence after work. The very reasonable price of the pods and the ease of purchasing makes the coffee moment something to enjoy even more. So pod people, give them a go. « Chia – jumping on the super grain train, thanks to Healtheries and the title of Chia Super Sampler!